Second Meningitis Outbreak Erupts In Southern California : Shots - Health News A meningitis outbreak at the University of California, Santa Barbara is causing the same kind of illnesses seen earlier at Princeton, but public health officials say a different bacterial strain is to blame. 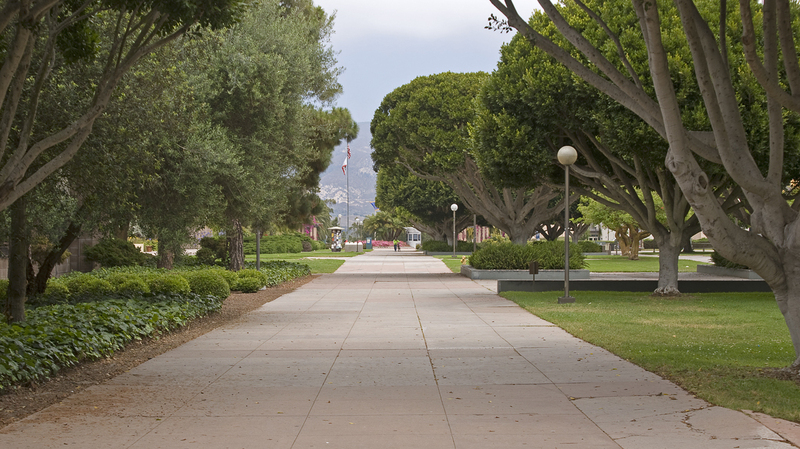 The UCSB health service has given preventive antibiotics to over 700 students as a precaution. Administrators at University of California, Santa Barbara are encouraging fraternities and sororities to hold off on parties. The University of California, Santa Barbara is experiencing a meningitis outbreak a lot like the one that hit Princeton earlier this year. The California university confirmed a fourth case of meningococcal disease on Monday. Like the outbreak at Princeton, this outbreak involves type B meningitis, a form of the disease that isn't covered by the vaccine approved for use in the U.S.
A vaccine that works against this type of meningitis is approved in Europe. And last month, the Food and Drug Administration gave Princeton special permission to administer the European vaccine on campus starting on Dec. 9. Dr. Amanda Cohn, an epidemiologist with the Centers for Disease Control and Prevention, says it might consider asking the FDA for a similar waiver in Santa Barbara. She says CDC is also conducting tests to make sure the European vaccine will work against the Santa Barbara strain. But for now, Cohn tells Shots, the CDC is just closely monitoring the outbreak. "Our hope is that there are no additional cases," she says. Since UCSB's student body is much bigger than Princeton's, she says it's unclear how far the disease might spread. "We can't tell at this point if there's a certain group within the university that's more at risk," Cohn says. She says it's also worth noting that this outbreak isn't related to the one in Princeton. "These are two outbreaks that are caused by the same type of meningococcal disease, but they're different strains." As we reported last month, meningitis is transmitted through fairly intimate, close contact like kissing. It can also spread among roommates who spend a lot of time around each other. UCSB spokesman George Fulsham tells Shots that just to be safe, the university's student health service has administered preventive antibiotics to over 700 students who could be at risk. And, he says, they'll be giving even more students the antibiotics Wednesday. Administrators are also encouraging fraternities and sororities to cancel social events. Bacterial meningitis is an infection of the brain and spinal cord that can be fatal. One of the infected students in Santa Barbara had to have both feet amputated after contracting the disease. Fulsham says two of the others have already returned to class.